I don’t think you could package paradise any better. 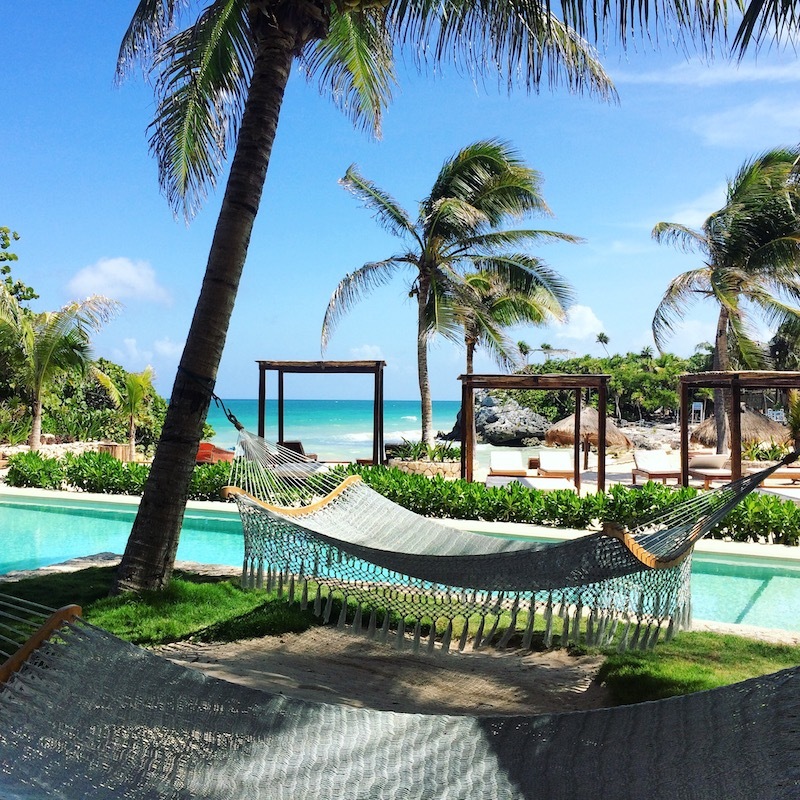 There isn’t much the sleepy beachside town of Tulum, Mexico doesn’t offer. There is a pleasant city center filled with culture and trendy hangouts. The beaches are magnificent with pristine waters and white, powdery sand. The food scene is world famous, have you heard of Hartwood? The people are friendly and the streets are lined with charming boutiques and picture worthy scenery. Ancient Mayan Ruins peek out from behind the palm trees and overlook boulder lined beaches. 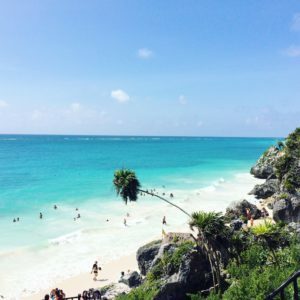 Most importantly, Tulum isn’t like the rest. 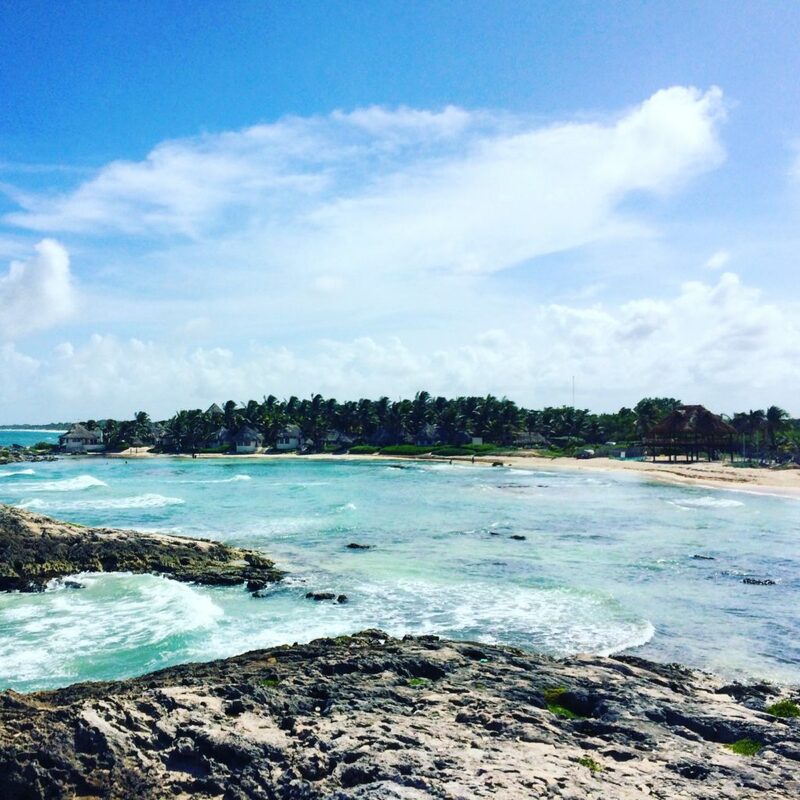 Unlike its cookie-cutter neighbors, Tulum has beauty and charm. Get here quick before the spill over from Cancun devours it. 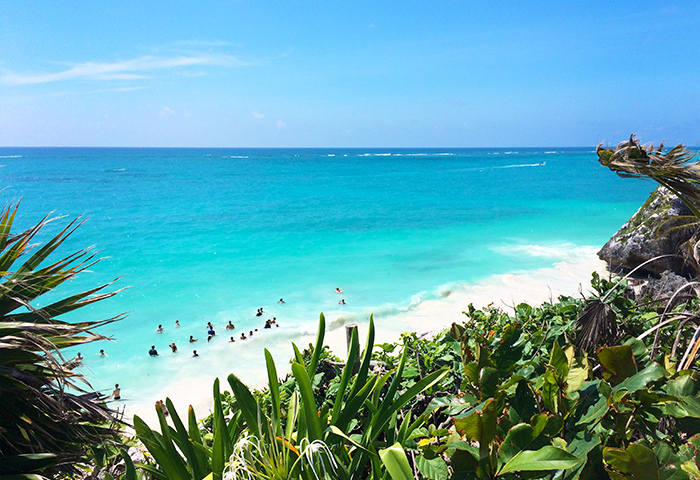 Here is our Tulum field guide to prepare you for your trip. Tip. For all intents and purposes, Tulum is split into three areas. There is a downtown, and two sections along the beach. The north side of the beach is more laid-back and filled with eco-resorts; think little huts along the beach with no electricity. There isn’t much else on this side. Most of the shops and freestanding restaurants tend to be found on the south end of the beach. Posh hotels, juice bars, ice cream stands, and beachfront bars are plentiful on the south end. 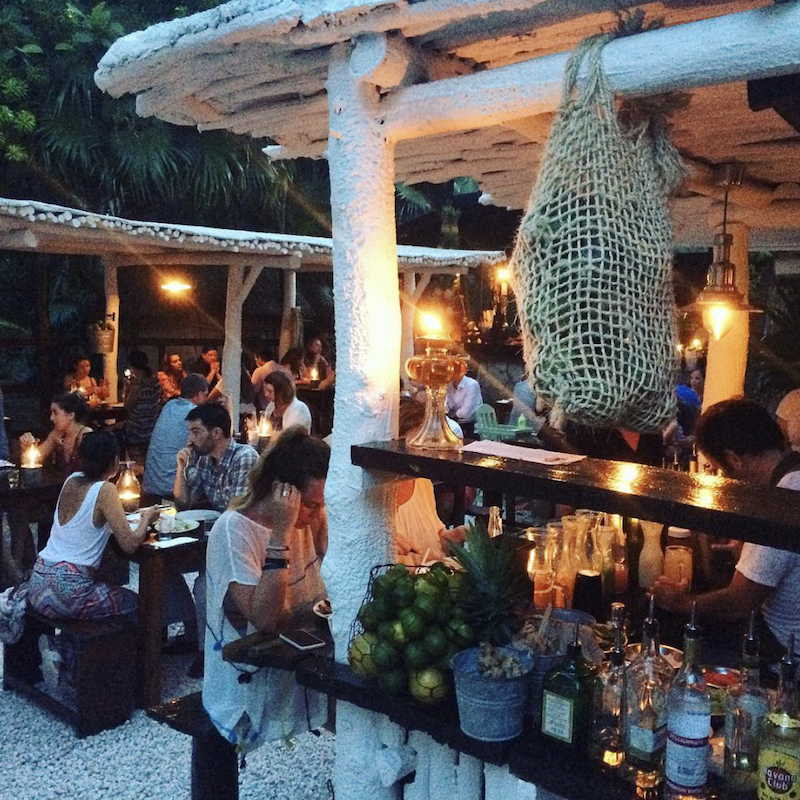 If your looking for something more rustic check out our Isla Holbox Field Guide. Most visitors to Tulum take a shuttle or collective taxi from Cancun. While some hotels may include a transfer, most offer one at an inflated rate. Vans line up outside the airport waiting to take travelers to Tulum, but these tend to be quite expensive and can cost anywhere from $50 to a couple hundred dollars. Fret not, there are some budget friendly options. If you are looking for a cheap transfer or want to add some flair to your journey, take the local bus. Pick it up at the airport and take it to the Cancun bus station. From here, you can jump on another bus to Tulum for a few bucks. They are reliable and leave every 45 minutes between 6am and midnight. If you’re feeling like a rebel, haggle with a local taxi driver in downtown Cancun. We splurged a little and still managed to get a private taxi to take three people to Tulum for under $100, including gas, beer, and a slightly illegal kidnapping from the airport. Get Out of The Airport : If you fly into Cancún, the first way to save money is by getting out of the airport as quickly (and cheaply) as possible. Every taxi or shuttle from the airport will cost you a small fortune. Instead, take the bus. It picks up in the same spot as the shuttles. For a couple dollars, it takes you to the main bus terminal in the city center where you can catch your next bus to Tulum or find a taxi. Try sharing a ride. This may be the single greatest tip in this Tulum field guide. Eat Downtown : If you’re looking for good food, but don’t want to drop $15 on a sandwich, head to the city center. 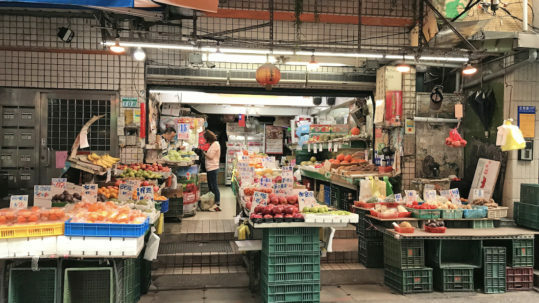 From little cafes to bars and restaurants, you can find just about anything you want here. Even better, try the taco carts. You can fill up on some of the best street tacos around for less that $3. Negotiate Taxi Fares : Taxi drivers will try to get as much out of you as they can. Ask how much your ride will be before you get in the car. Sometimes you may need to haggle. Drivers charge a premium at night, so expect more expensive cab fares. Visit the Mayan Ruins : It’s hot. Be prepared and bring water. Walking around this tourist trap can be overwhelming with giant crowds blocking most of the walkways and scenery. Get here as early as possible. When cruise ships dock nearby, they send hoards of visitors over by the bus load. Regardless of the amount of people or the unwavering heat, this is a sight to see. The ruins themselves are amazing, but the views from here can’t be beat. White sand, brilliantly blue water, leaning palm trees, and the remnants of an ancient civilization blend perfectly to provide an unimaginably beautiful backdrop. Cenotes : These are another heavy hitter. Tour buses drop off crowds early, so get here as soon as they open. You may be lucky enough to have an entire cenote to yourself. It’s worth the early alarm. These underground swimming holes are not only fun to look at, they are more fun to play in. Jump off cliffs, swim with turtles, check out the bats dangling from the ceilings. Depending on which cenotes you visit, the attractions will vary. BUDGET TIP : Hire a taxi driver for the day. They will drive you to several cenotes for less than it can cost to take a tour of one. Bonus, you don’t have to go with a group or wait on others. 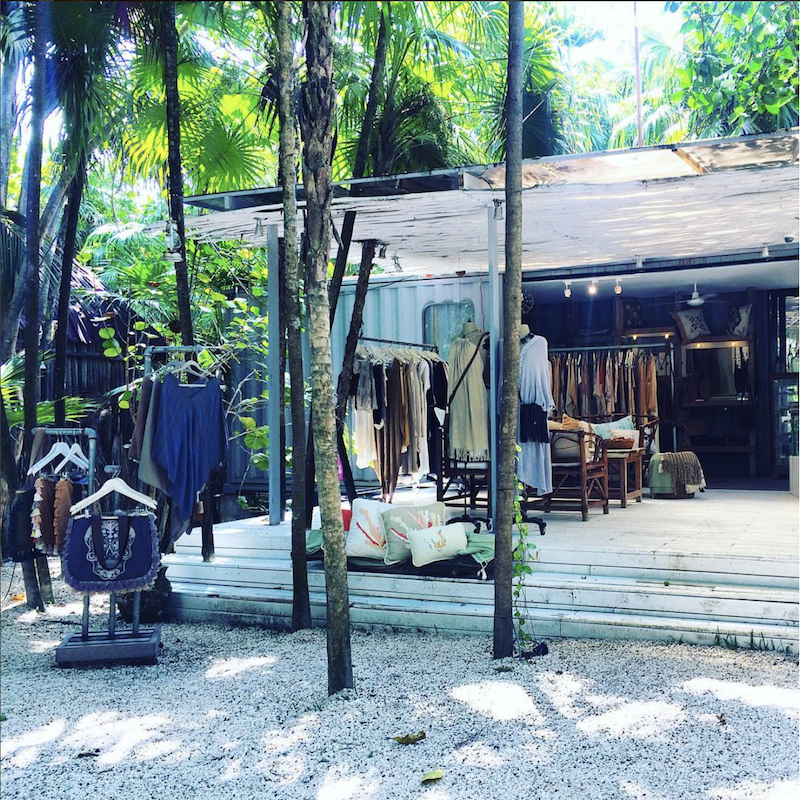 Shopping : Tulum is dripping with posh boutiques and trendy shops. The quaint shopping district has done an impeccable job of blending in to the surrounding flora. Natural woods, soft colors, and airy entrances make these shops worth visiting, if only for photo-ops. Buyer beware, you’re not in Mexico anymore. While much of Mexico is inexpensive, this upscale town may leave some with sticker shock. Street Tacos : Yes, they are that good. 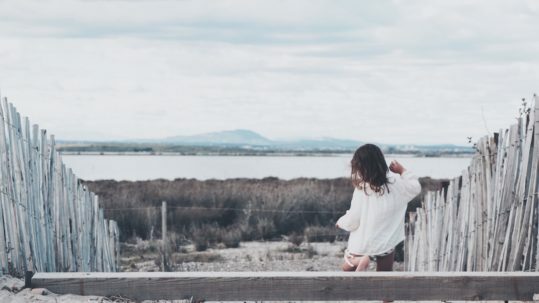 If you are willing to leave the beach for a delicious adventure — make your way to the city center. Beachside Tulum closes up early, but downtown still has a lot to offer. 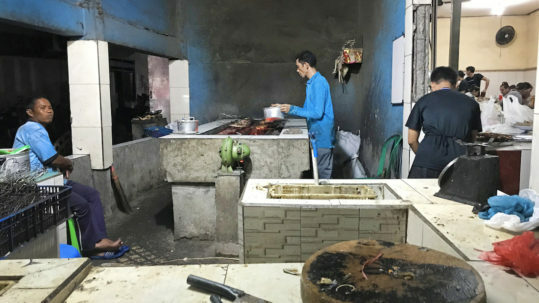 A scattering of unassuming hangouts, inexpensive eateries, and hands down the best street tacos we’ve ever had the pleasure of devouring can be found here. Skip the restaurants and opt for the street carts. There’s nothing quite like street meat. Beachside Dining : Once you’ve spent a small fortune on a handmade leather bag and recovered from last night’s margaritas and street tacos, try out the delightful restaurants along the beach. Whether you’re looking for a frozen cocktail, a healthy shake, fresh seafood, or a hearty meal, there is a perfectly positioned eatery serving small town charm and delectable views with each purchase. Street Art : Tulum is littered with amazing murals, art installations, and colorful graffiti. These can be seen wandering side streets, residential blocks, or even just walking down the main avenue. Be sure to bring your camera.